Scientists early in the 20th century became aware that the older, traditional assumption that science always yields to reductionist approaches was not valid. They discovered, instead, an entire category of problems now defined as “complex”. Much scientific work in the past 100 years has been dedicated to learning about, and approaching solutions to, these complex problems. Now the science of complexity is beginning to be applied to business. What we’ve learned is that businesses always assume that problems can be solved, and opportunity can be pursued, with complicated solutions – NOT complex. This is a convenient assumption because complicated solutions are reductionist and reductionist approaches appear to be a perfect fit to hierarchical bureaucracies. It’s comforting to managers and executives to feel they’re on top of the world – managing downward by issuing orders to solve problems in segments. This has put reductionist thinking at the core of most businesses and most business school training. In a reductionist approach, we assume that problems can be reduced to component problems which are each solved separately. And we assume that by doing this, the parent problem will be solved. Businesses are separated in their market performance by how well they deal with the complex. Many business challenges do not fit these complicated approaches. In fact, the most critical opportunities for business are complex – not complicated. Consider innovation. Innovation is a complex problem. Innovation success requires managing where where ambiguity abounds. When connecting the dots with innovation, you must not break the overall vision into parts that are managed separately. Innovation requires an individual at the heart and soul of the project connecting dots – even if different groups are solving different portions of the problem. In fact, one principle of innovation is that the biggest opportunities come from connecting things that other companies don’t connect (because they’ve separated parts too far). The marketing required for innovative new products and services to succeed is also a complex problem. Success with new products requires far different thinking from products already successfully entrenched on store shelves or which have sold successfully for several years. 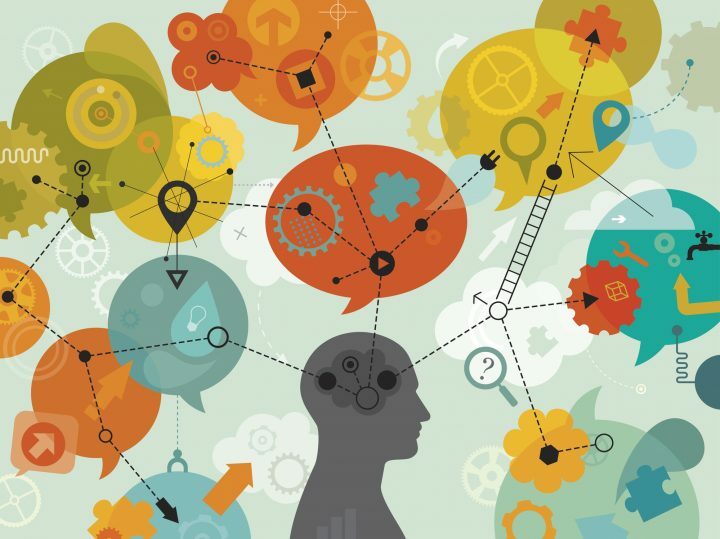 Understanding that marketing new products is complex is most critical in the roles most tightly connected to customers or getting product to customers. It start with understanding the people and institutions who are, or might be, your customers. The complexity of the situation requires wisely structured & inventive exploratory research as the basis from which to develop strategy, discover opportunity or validate a proposition. This research must not be “business as usual” corporate research relying on the classic corporate suppliers. Research must be constructed and managed with far higher focus on discovering the unexpected – and conducted in a way which preserves the openness needed for discovery and learning. Exploratory work often need be confirmed with quantitative work. But a solid foundation of exploration is the only start which can uncover ways to tap into unexpected market opportunity. Marketing new products also requires new approaches to sales channels — including the sell-in to retail. This requires a far more entrepreneurial approach than is typical across a sales staff. This might seem surprising, but it’s important to remember that many “sales men or women” spend little time selling – most of their time is spent as account managers. Even more, creating the communication for new products requires an incredible separation from traditional reductionist advertising or PR approaches. It requires thinking in the world of your customer and getting across what’s critical in ways that customers hear more than they ever would from typical advertising used for existing, successful products and brands. All this also means that the marketers who are best at managing already successful products are not likely to be a the ones who will deliver success for innovations. When marketing innovations experience and instinct are at least as important as data and quantitative research — but often much more important. Throughout my career, I have managed complex situations. Sales is a complex situation. Creating advertising for new products is complex. Designing and creating new software to solve engineering problems is complex. Managing ad campaigns is complex. Executing research that leads to innovative products is complex. Designing user interfaces is complex. Projecting impact of new products on sales is complex. And, though all this, I’ve found the most critical factor for marketing innovative products and services to be clarity – developing the skills, patience, and discipline to be able to see what’s important. When you do, it will be clear you’re seeing with complex eyes – not the over-simplified theories of reduction. For more on complexity and business, I recommend Rick Nason’s book “It’s Not Complicated: The Art and Science of Complexity in Business“ as a starting point. In fact, Rick’s book was the inspiration for the title. Through my company Protonik, LLC based in Portland Oregon, I work with clients to drive innovation success with better marketing of new and innovative products and services — work which needs to start before market analysis. I also work with clients attempting to bring new life to Shelf Potatoes or take their existing products to new markets. You can read more about these services and my unusual background (math, aerospace, supercomputers, consumer goods & national TV ads) at www.Protonik.net.